Ok, I am not on a mission to criticize the property dealers or real estate agents of Delhi or India but what If I say that most of them are official criminals then it will not be an overstatement. And the other fact is that they don’t get caught. I have visited hundreds of agents and done equal meetings with them and bought a lots of properties in my last 5 years in India. Something that hurts me at the end is the level of ethical and professional degeneration, lowness Indian real estate industry is now at (for making money). Please note – I said most of them & not all of them (But I got none who is giving me a good deal without Taanka). I still hope that those who join property business are doing any social service or to make their both ends meet. Can you believe this? Property is a business that you do when you want to make big money and lot of money, faster and easily. From Zero to Hero. Who can be a Property Agent? – Anybody. No Qualification. Or also When you are not left with other career options – and you want to make fast money without risk, business model or investment. Come and join this mafia who specializes in victimizing and using both a needy seller and buyer. Who are these ‘Thugs of Business’? – Just for a reference, most property dealers I saw working had no background in education. They can be anyone who failed to be someone. Most are uneducated class who first speaks big money while keeping no money. They see other pockets of hard earned sweat and dreams as their party money without sympathy. They infact cheat those who are working honestly to earn few thousands (via jobs) to run their families. Read a story on gurgaon reports three property frauds a month by Hindustan times. I see various families, who don’t travel or go to restaurants even in months because they have home installments. They have a small home and they are concerned for career investments of their kids because they have installments for next 20 years. Who say Home is an Asset? Just re-work. It’s a liability. Today, most of local streets of Delhi/NCR has a so-called branded property agent and other small agents and both are working within a big property nexus or system backing these shops to run ‘official business of robbing’ innocent people via Real Estate. Most property dealers get 2% commission on their every sale deal whereas 10% approximate (or 1 month rent) on Rental Deal. Taanka is an additional margin you get by ‘over-pricing’ the property. Say I am the owner of flat of Rs. 50 Lakh and I want to sell my property at same price atleast. The property agents will over-pitch it to a 100%, 200% level so that there is a big ‘Taanka Margin’. They don’t allow you to bargain above 5-10% to satisfy you (as the normal tendency of buyer to feel satisfied and contented in such bargain). So the property is sold at a 90% above value and it is known as ”TAANKA’ in trade. I have surveyed various properties and whenever I visited the agents, I can easily smell the over-pitched ‘Taanka’ value in every deal. In a last week survey – one of the 90 meters plot at my locality actually valued at Rs. 1 Lakh/Meter i.e Rs. 90 Lakh but all the property agents in my area quoted me Rs. 1.5 to 1.75 crores. And it was a marvelous experience to see their shameless ‘posture’ and ‘attitude’. Real Ethical Property Consultants Vs. Money Minting Agents – I am not saying that there are no ‘real valued consultants’ who can be contented in 2% commission but in reality I found none so far. On the Contrary, some of my case studies have disclosed friends duping their friends for ‘Taanka’. There is no question of ‘ethics’ now when friends are duping their friends. It’s obvious that money value taking over all other values. Next time you visit a property agent to buy a flat or rental property. He will ask you What’s your budget? This is their platform and opportunity for ‘Taanka’ and if you answer this question, you are trapped. Don’t say that this is my budget. Because he will fit the low budget property in same rate. There is a common sense indeed in slapping something at overpriced value to you. There is extra commission for them and you have to bear them for life 🙂 – Do you see that? You are bearing the value of their ‘Taanka’ fun for your whole life? Doing a Press Release of ‘high priced deals‘ – Yes if you read in newspaper/s that ‘bla bla location property is sold at 200% or 300% high rates. Make sure it’s a trap. There is no such sale or it’s just an information/strategy to fix/create Taanka scopes and benefit the nexus. Overpricing the Real Value – Quoting price upto 160-200% of actual value. Misleading and psychologically trapping the emotion/need of the customer with fake values – In one of incident, I wanted to sell one of my flat and when I called an agent, he just pitched the flat at less than half value and demotivated me from every dimension. The another day I got a buyer automatically at my door and he depressed me with much lower price too. But thank God I was convinced to not sell it low. I want to mention that the nexus followed me for months. The Nexus or the Property Mafia – One bigger fact is that this mafia keeps all real value or good value deals for themselves. As a client you are not going to get it at a real price anyhow. Or if there is a good deal, be assured that as a customer, you won’t get it. They break the sellers to the lowest value trap (a dirty trap indeed), stretch the time and trap another buyer at over-quoted price (Taanka) and win the margins. They never let buyers meet sellers, no matter how much compatible or responsible they are for each other as the agent will lose its ”TAANKA’. They can never be satisfied with ethical commission of 2% now. 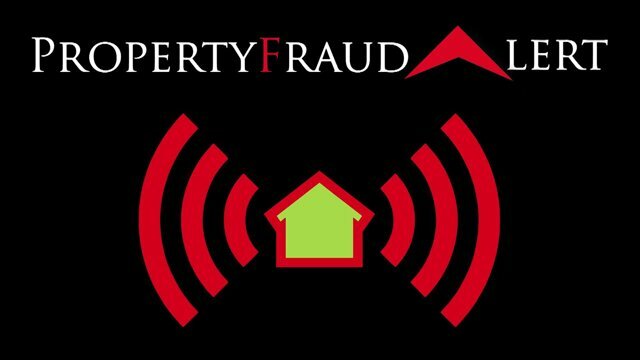 If you have to buy a property then never go to a property dealer or local property agent because they will stop you from getting a real benefit deal. On the contrary they will get you a deal which you can get otherwise at a much economical value. Approach owners via internal networks. Run a community service/website that belongs to owners and not agents. (Most agents (in time frame) are able to trap most owners who are selling it independently but I salute all those owners who don’t prefer agents and save interest of buyer and themselves). Real Estate planning is a sensitive decision of life where a single trap, a single bad decision and there is no recovery ever. So make your decisions for property via your real trustworthy and experienced acquaintances. Please feel free to share the article link with your cared ones. a good article! enlightening one rather. This seems to be a problem wherever there is a hot market, not just in your country. The terms may vary, but not the underlying greed.